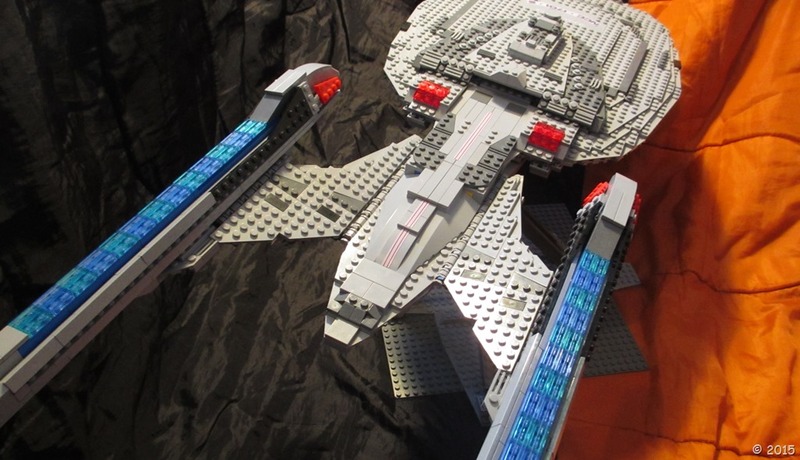 Here are some photos of the now completed Starship Enterprise-E. I am so happy to finally finish this project, not only did it take nearly a year to complete, it has also been something I have wanted to make for many years! I am really happy with how the model has turned out. My big focus was accuracy, basing the model off schematics and a DST model. The biggest challenges were the warp nacelles and getting the angles right on the bottom of the stardrive. I redesigned the stardrive section many times, and eventually ended up flipping a lot of pieces and using them in unusual ways, but I am really happy with how it has turned out now. The nacelles were always a problem for me. For probably the first time, I actually left the model alone until I could find more transparent blue grill pieces online to buy. I simply could not find any other way of making that section of the nacelle. 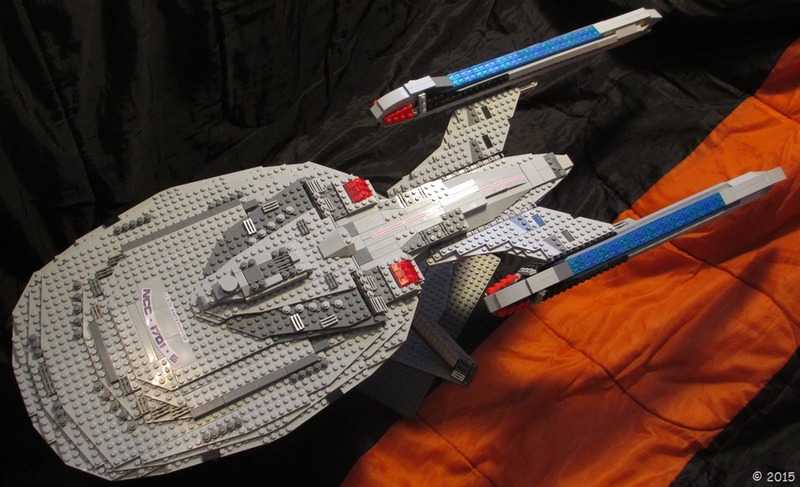 I was extremely excited when I was able to purchase the pieces at an event and finally able to finish the ship. The warp nacelles are probably the weakest part of the ship, and the one section i would still like to improve. I was never happy with the design, but couldn’t think of anything better. This ship is also the first model in which I have made decals and printed them onto sticker paper rather than gluing them on. 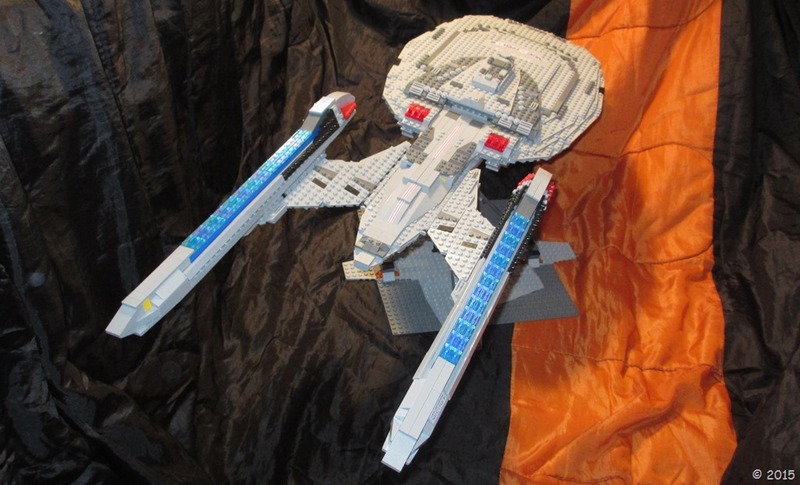 The Enterprise is one of the largest starships I have built, only comparable to the Battlestar Pegasus. Here are some photos! There are still many more to come. If you have any questions about the building process or any feedback (positive or negative), comment below. Epic! 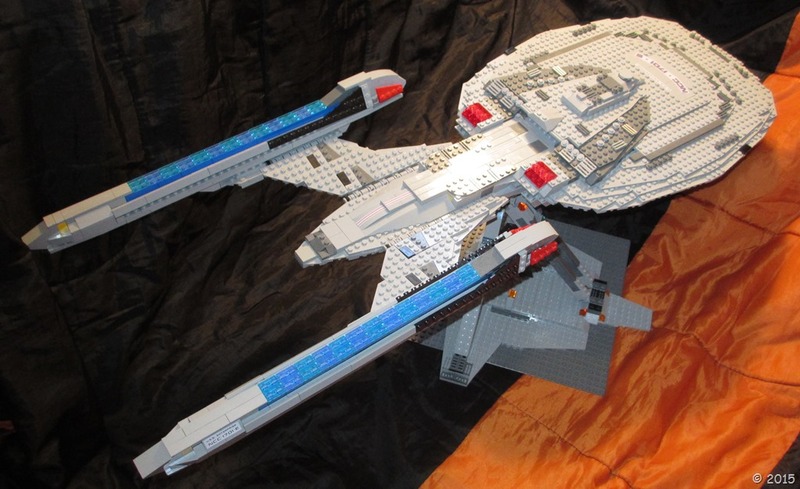 I have always wanted to build that but have only done so in microscale! 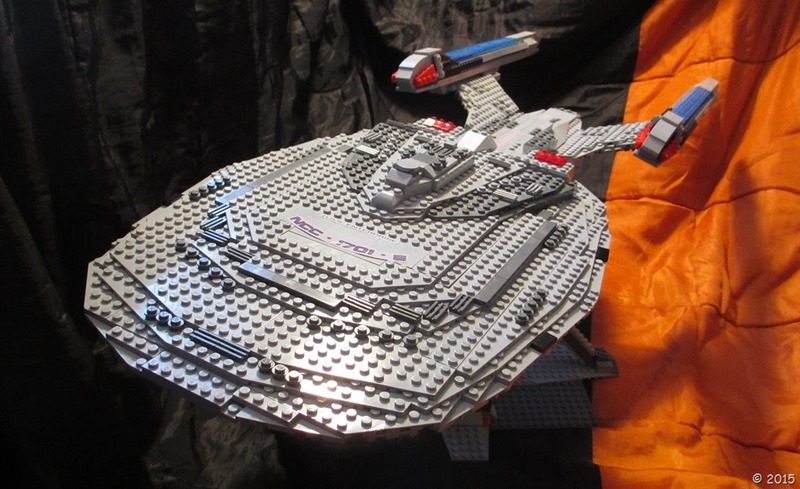 I’d love to see the microscale version! Sorry. Its broken and I didn’t take a picture. Thanks for such positive feedback! I am glad you and your son liked the build!